The PC gamers were tucked up in bed with their laptops and a digital copy each of Telltale’s latest, but couldn’t help but shiver at the noises rising from the Maclands, where the rivers flowed with Wine but the locals lived only on what scraps PC developers deigned to feed them. “We want it now-owwwwwww,” howled the Mac gamers, deprived of what they knew was theirs. 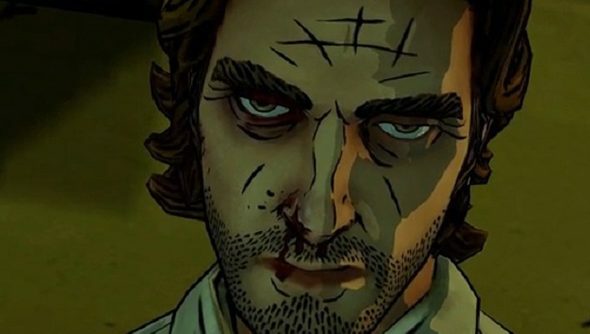 The Wolf Among Us: Episode 1’s PC launch last Friday was momentarily scuppered by a faulty build on the Telltale Store, but went otherwise smoothly for those looking to enjoy the Walking Dead follow-up early. Not so the Mac version, which was halted by an “unforeseen issue” on release day. Telltale have been working on an update all weekend, however, and expect to have a build live on Steam and their own website “within the next few days”. The Wolf Among Us is an adaptation of Fables, a graphic novel series with a Gaimen-esque concept that sees mythical characters attempt to make it in the mundane, mortal world. By all accounts thus far, it’s a very good one. See The Wolf Among Us launch trailer for a better idea of its surrealist noir vibe. Have you had a chance to dunk your head into its world yet?